ASAT are space weapons designed to disable or destroy satellites for strategic military purposes. Testing this missile today, India showed its military might in space as it became the 4th country to become a part of the elite space superpower club. 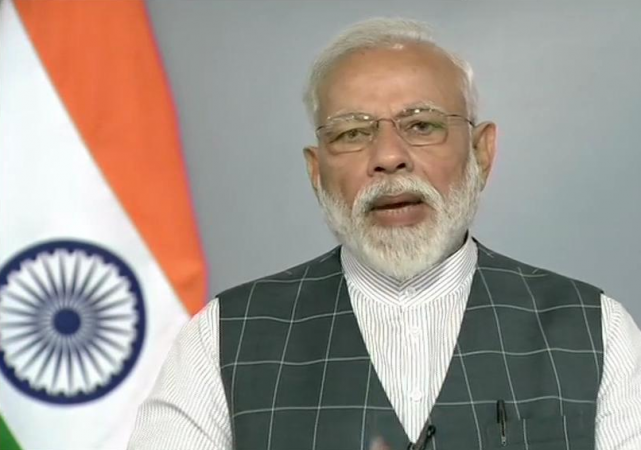 Addressing the nation on Wednesday, March 27, Prime Minister Narendra Modi said that India has registered itself to become an elite space superpower after the successful completion of operation 'Mission Shakti'. The only three other members of space super league are the United States, Russia and China. PM Modi was overwhelmed to declare the success of Mission Shakti, India's first test of an anti-satellite missile. With the help of a team of scientist, the entire operation was completed within a span of 3 minutes with the anti-satellite (ASAT) weapon hitting the mark and destroying the satellite. "This is a proud moment for India," said PM Modi. WHAT IS AN ANTI-SATELLITE WEAPON? The Anti-satellite weapon (ASAT), which destroyed a live satellite on Low Earth Orbit (LEO), is made by the Defence Research & Development Organisation (DRDO). ASAT are space weapons designed to disable or destroy satellites for strategic military purposes. Testing this missile today, India showed its military might in space as it became the 4th country to become a part of the elite space superpower club. Generally, almost all military satellites orbit up to 2,000 km above the earth's surface in LEO. As per reports, no country has used ASAT system in warfare till now but multiple countries have shot down their own (defunct) satellites to demonstrate their ASAT capabilities in a show of force. Officially Russia, China and the US possessed this missile. Now, India has also joined the club. It has also been reported that several other nations are developing this weapon. The United States first tested ASAT technology in 1958. On February 21, 2008, the US Navy destroyed the malfunctioning US spy satellite USA-193 using a ship-fired RIM-161 Standard Missile 3. Back in 2007, the People's Republic of China successfully destroyed a defunct Chinese weather satellite, FY-1C. The destruction was believed to be carried out by an SC-19 ASAT missile with a kinetic kill warhead similar in concept to the American Exoatmospheric Kill Vehicle. And in 2015, Russia tested its PL-19 Nudol missile which was followed with alternative tests. "MissionShakti was a highly complex one, conducted at extremely high speed with remarkable precision. It shows the remarkable dexterity of India's outstanding scientists and the success of our space programme," said PM Modi. "A-SAT missile will give new strength to India's space prog. I assure the international community that our capability won't be used against anyone but is purely India's defence initiative for its security. We are against arms raised in space. This test won't breach any international law or treaties," the PM added.